When we think about the United States, for example, trucking stands as one of the most profitable businesses. However, regardless of where you go, this is a field that is extremely vast in its productivity. So, how does one succeed in claiming a position in such a busy business? Well, you could start by having a plan. Trucking will obviously benefit you since it is high in demand, but you need to have a strategy. Many good truckers end up failing at this business solely because they are not good business people. Don’t fret, we have here five tips to help you run the trucking business of your dreams. The first most important step is to choose a market niche to begin your trucking journey. This is because there are certain types that you should avoid and some that will be perfect for you. For example, avoid the markets that huge carriers are prone to choosing. You should customize your business to carrying special loads only. The main reason for this is the competition risk. Large carriers are mostly chosen for dry van tasks which will waste your time and energy. So, make sure to make the right decision. It’s not like you have a lack of variety. There are so many markets that you can choose from. Meat and other fresh produce carriers are a great niche to go for as it is profitable and immune to recession risks. It is important to find the best shippers and brokers at the beginning of your business in order to establish a good relationship. You could turn to the many load websites that are available online and find the best one for you. Search through the various categories to find ones closest to you. Load boards on websites are great to help establish the relationship that we previously mentioned. A proper and stable customer relationship is needed in order to have the best beginning for your business. You should also choose a rate at which to charge your customers. When you go to the load board find at least ten loads going in one direction. Contact the brokers and find out how much they will be charging. Calculate the average and add at least 15% to that and repeat the entire process for the opposite direction. Refer to international online truck trading for more information. Like we said earlier, a perfect plan is required before starting a trucking business. It just helps in the process to make it much easier in the future. This is to know exactly how much your operating costs will amount to. There are two types of costs that you should stabilize. These are fixed and variable costs. Fixed costs are true to their name and therefore stay the same no matter what. Even if the amount you drive changes, these costs would stay the same. For example, insurance payments, costs for the vehicle, etc. When it comes to the variable costs, they are determined by how many miles you drive. Fuel would be a good example of something that has a variable cost. Combining both these costs you would calculate the all-in-cost per mile. If you didn’t know already, fuel consumes most of the expenses for a trucking business. To be exact, fuel consists of more or less 40% of the total expenses. What happens is that new business owners often make mistakes while purchasing fuel and take extreme losses due to that. Therefore, having a proper strategy before purchasing is ideal. You could use a fuel card. These are helpful because they control and manage your fuel expenses that can help save money at the Petrol Pump. 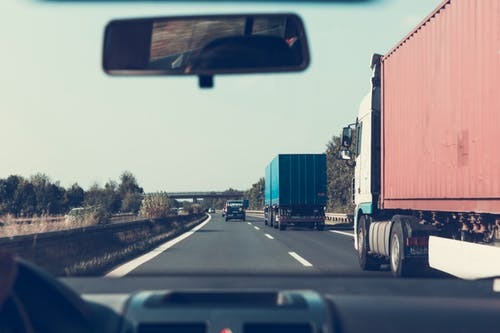 In countries like the USA, truck drivers must deal with the IFTA. Truck drivers pay taxes according to how much fuel they use as they drive to different places. New truckers or small ones often suffer from overloading of work. This is because the beginning of the business involves lots of billing and paperwork before the actual trucking begins. If you alone indulge in all this work, you won’t really have time to concentrate on the actual business side of things. That’s why you should employ a partner to help with all the paperwork and billing work. This is so you can manage the trucking operations whereas the partner may handle the background. You can even tend to factor companies as they are also of great help.